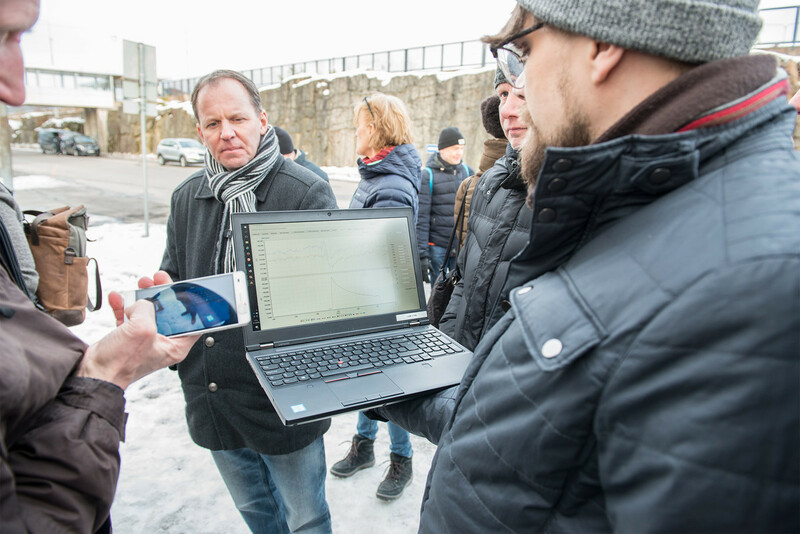 BSR Electric and other sustainability related projects fit Turku's ambitions perfectly as the south-western Finnish city aims to become zero-waste and emission-free in 2040. According to the city's roadmap, public transport will become carbon neutral in the 2020s. During the morning of the first meeting day, general project issues regarding management were reviewed as well as WP2 issues on e.g. stakeholder interviews and analysis. 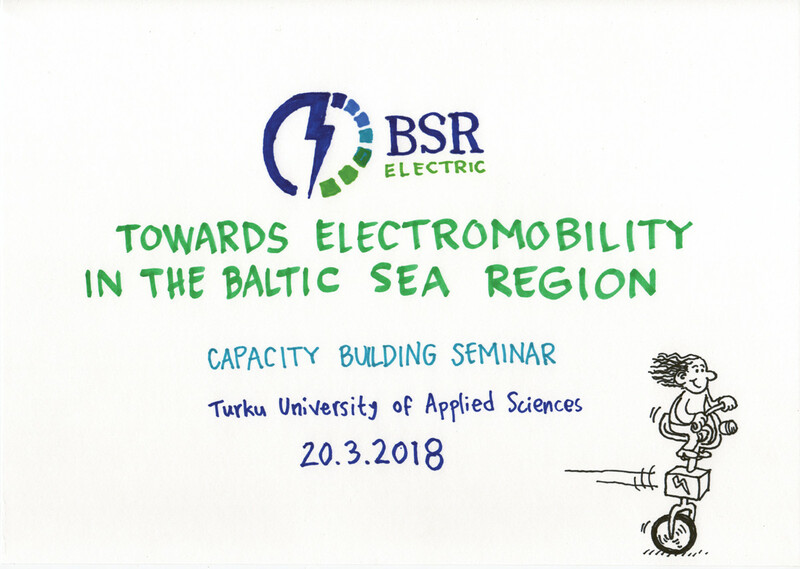 In the afternoon, the BSR Electric project and e-mobility related topics were presented to the public in a Capacity Building Seminar. In addition to the specialists' speeches the event featured opening words of Rector Vesa Taatila and live hand-drawing by an illustration artist. The audience got to hear some interesting views on different aspects of electromobility ranging from the consumer perspective of e-mobility to MaaS development in the city of Turku and the Norwegian model on promoting e-mobility solutions, as well as some insights on applying campaigning to e-mobility promotion. The second day of the meeting started off with some planning issues regarding the different project work packages. The different use cases on e-mobility that form the core of piloting activities in the project were also presented along with lively discussions, as well as some very welcome joint problem-solving among the project partners. On the day the hosts were also very proud to give the stage to presentations covering the city's electric bus pilot. The first fully electric bus started operating in October 2016 on the line 1 ranging 12.5 kilometers from the Port via downtown Market Square to the airport. Now a fleet of six e-buses operate the route making Turku the first Finnish city to use electric vehicles on an entire line of public transport. During one day each bus drives up to 350 kilometers, which makes the pilot Europe's longest in terms of driven kilometers per vehicle per day. In addition to driving these distances, the state-of-the-art technology is challenged also by the variable Nordic weather ranging from warm summer sunshine to wet autumn rains and freezing cold blizzards in the winter. 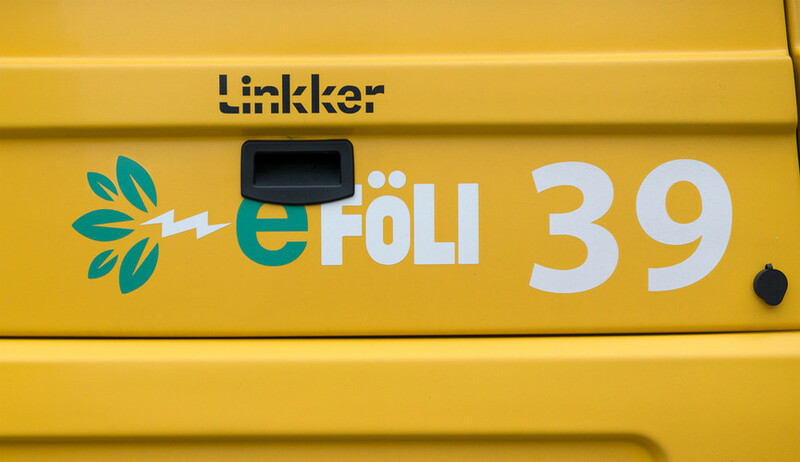 According to the invited expert speakers all the so far occurred malfunctions and other challenges have been overcome with smooth cooperation between the transportation buyer (City of Turku), operator (Turku City Traffic Ltd), R&D partner (Turku University of Applied Sciences) and local utility provider (Turku Energia). One of the lessons learned was that when building an e-bus line the buses and chargers need to be treated as a joint system and that these buses require more training for all participants including busdrivers. 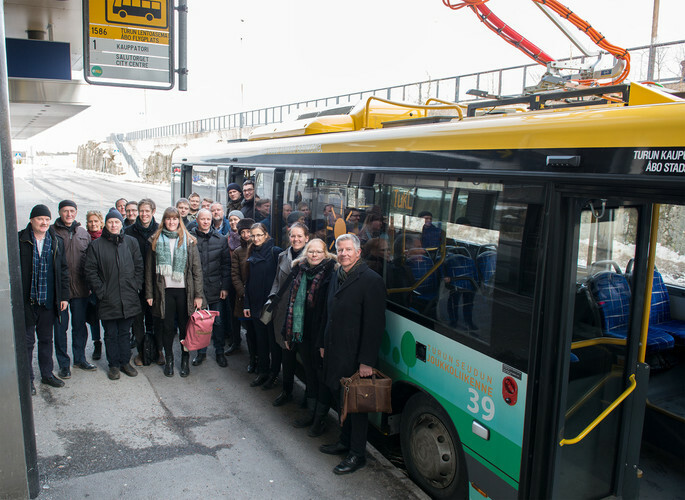 The e-bus pilot was not only discussed, but the technology was also tested in practice as the participants boarded one of Turku's six e-buses and headed out for a fieldtrip. 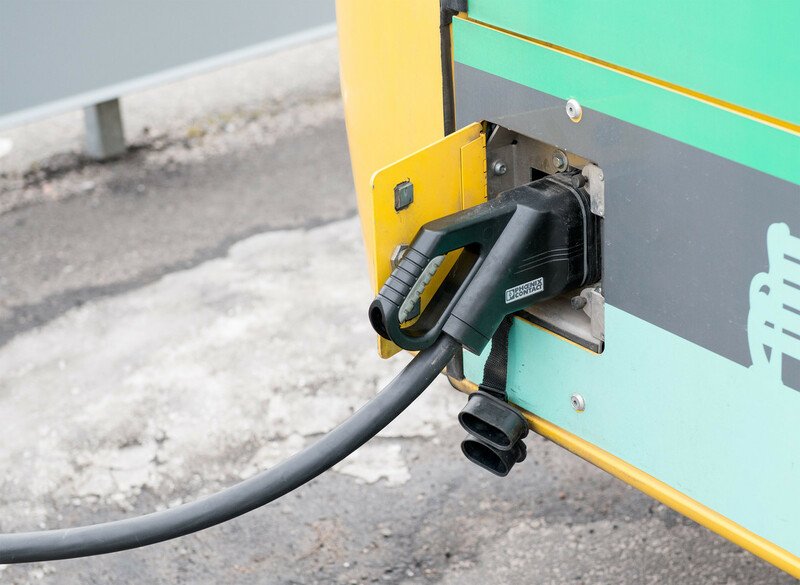 During the excursion two sorts of charging stations were demonstrated: A slower depot charging station and a quick 350 kW charger at the airport where the buses' 55 kW Lithium Titanate Oxide batteries are charged during the scheduled stop of only 3-5 minutes. Electric hybrid ferry Elektra leads the way towards more sustainable, efficient and reliable transportation. Day three of the meeting was finished off with some more presentations of project use cases as well as an interesting key note from one of the project Advisory Board members, Mr. Miika Meretoja from the city of Turku. With a heart of a scientist and a soul of an environmentalist, Miika gave some riveting insights into how sustainable urban mobility could be achieved in BSR cities and what type of challenges cities are faced with in achieving these goals. To conclude the meeting after a joint final lunch, project coordinators Jennifer Pohlmann and Anne Hoffmann presented a wrap-up of meeting results and, naturally, the next steps needed in advancing the project agenda. The third meeting day's agenda also included a presentation and fieldtrip on yet another pioneering e-mobility pilot from the Turku region: an electric hybrid ferry L/A Elektra. The ferry is the first of its kind in Finland and operates under the flag of state-owned shipping group FinFerries since June 2017. The 98-meter long vessel carries up to 90 cars on its 1.6 km route between the islands of Nauvo and Parainen in approximately 8-10 minutes. The main source of energy on the ferry are its 1MW batteries, which are loaded at each side of the crossing - using a shore-based connection to the local grid. In addition to the electric propulsion engines, the ferry is fitted with three 420 kWh diesel generators in order to secure the vessel's flexibility and reliability. The diesel engines can be used to generate electricity and also to give the ferry extra boost when needed, for instance when traveling through hard winter ice. The organizers of the seminar, TUAS, are happy that these fieldtrips and other presentations gave the involved partners around the Baltic cities and all others interested in the current state and future of e-mobility inspiration and invaluable insight and motivation to further promote e-mobility in urban areas.